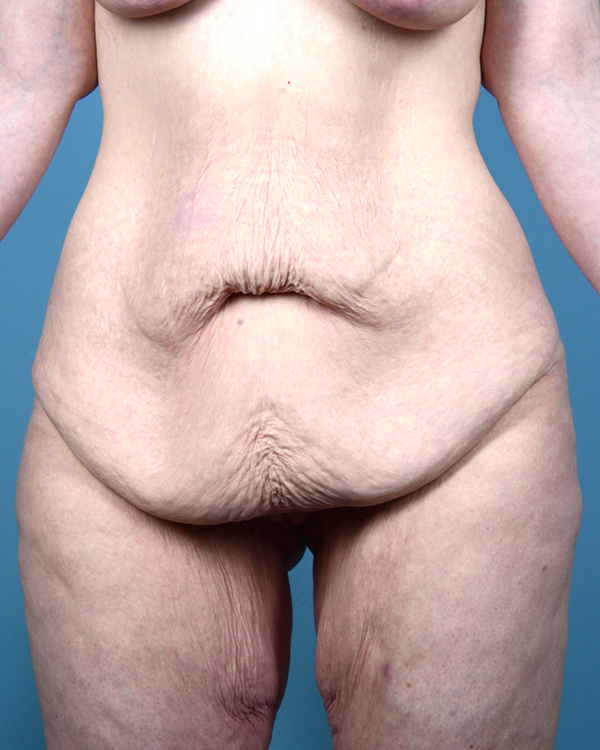 This patient in her mid forties met with me in consultation to discuss changes to her body that she had noticed with aging and following childbirth. 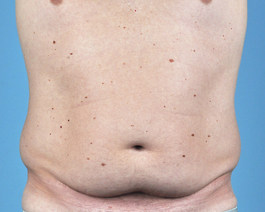 She was bothered not only by changes to her abdomen, but also fatty deposits around her hip rolls and inner thighs. 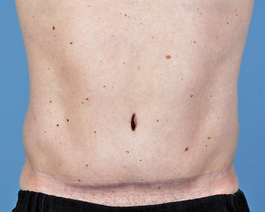 I discussed with her how fat on the inside of the abdomen called intra-abdominal fat would limit the flattening that could be accomplished with abdominoplasty. 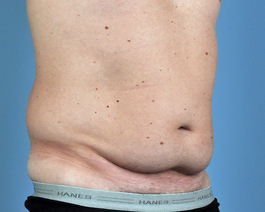 Her best result would be suctioning of the subcutaneous fat on the abdomen in addition to skin removal and muscle tightening. 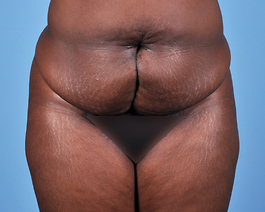 To address her other concerns, liposuction was performed to the hip rolls and medial thighs at the same time. 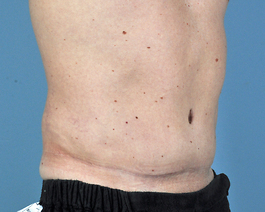 Great care was taken to accomplish symmetry of her scars and trying to conceal the umbilical scars. 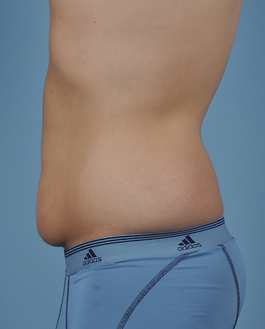 This woman benefited greatly by careful planning and design of multiple body contour procedures. Motivated by her new look, she enhanced her result with a 15 pound weight loss.